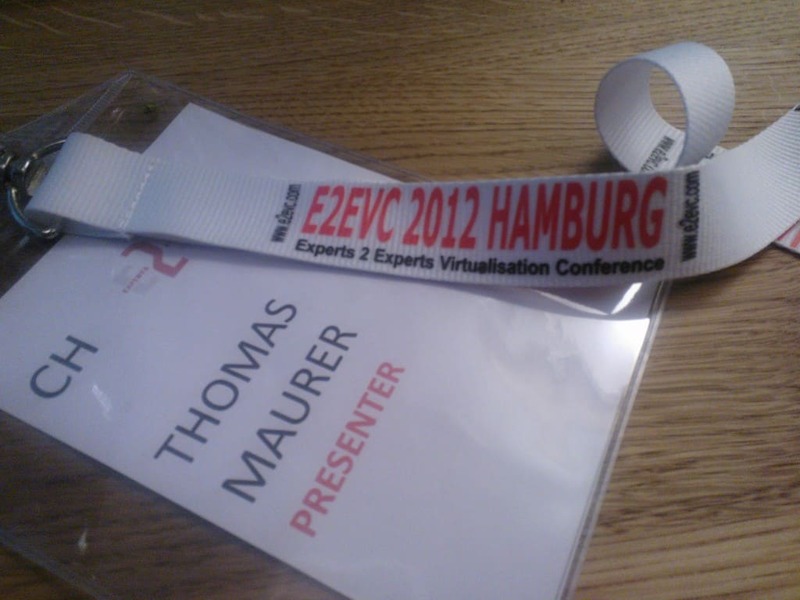 Last year I was for the first time the Experts 2 Experts Virtualization Conference (E2EVC) in Hamburg where we teach a Microsoft MVP Master Class and also did a video interview (4 Virtual Machine MVPs talking about Hyper-V at the E2EVC). The next E2EVC conference will take place in Copenhagen on the 30th May to 2th July. I have the chance to present a session with the title “SCVMM-Mania (should or should you not manage all your hypervisor platforms using SCVMM 2012 SP1)” together with Michael Rüefli. The session will include content about System Center Virtual Machine Manager 2012 SP1 and how you can manage different hypervisors like Hyper-V, VMware ESXi and Cirtix XenServer.